You may never see such a set of guns the remainder of your lifetime. 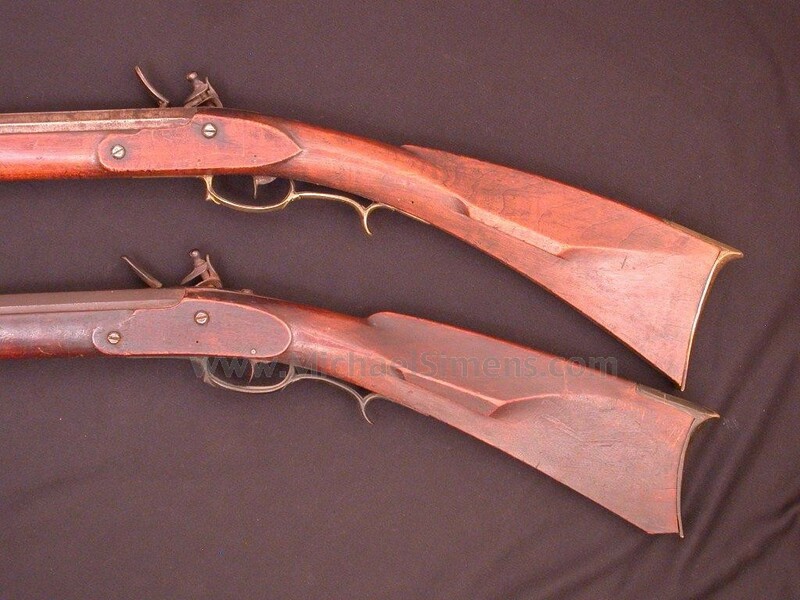 Both guns came from a farmhouse near Allentown, Pa. in the 1970's and have been in a collection ever since. Both appear to be products of the Moll family of gunsmiths, and they are nothing short of FANTASTIC. I don't mean really great, I mean that both of these guns are attic mint and show almost NO USE. 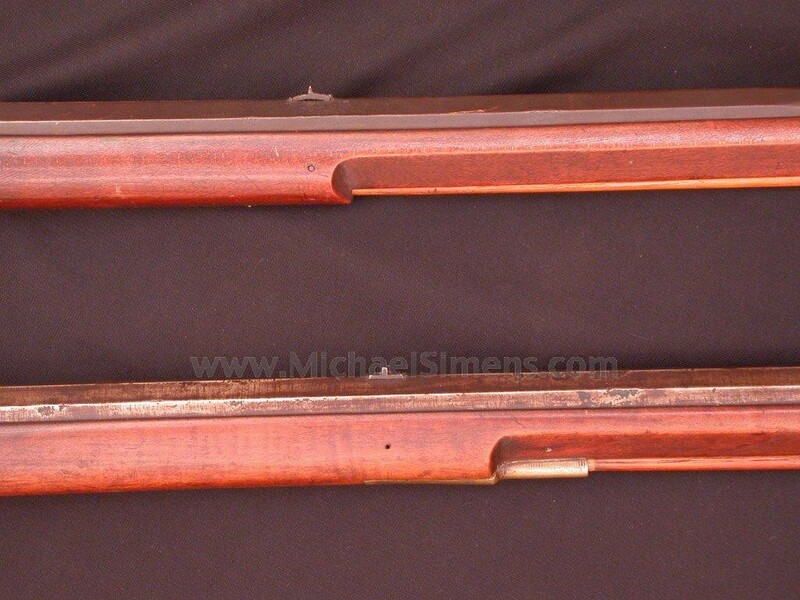 The upper gun in the photos is a typical "Schimmel" or farmers rifle. A Schimmel is a term used to describe a rifle that is generally very plain in appearance, with little to no embellishment in terms of special features such as a patchbox, inlays, wood carving, etc. 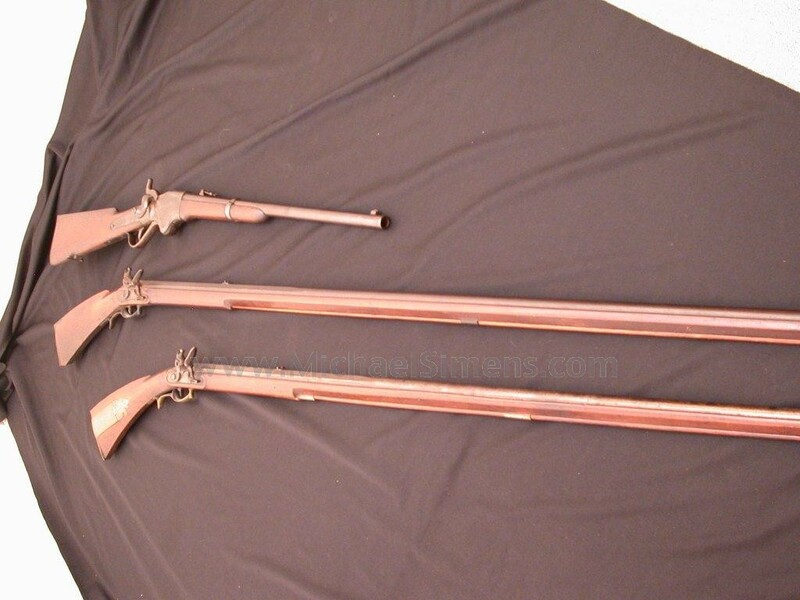 These guns would be placed at the front door or in a barn at-the-ready to be used quickly by a homesteader or farmer that encountered a wild animal that threatened livestock or for instant protection. This gun is 71 inches in length and smoothbore. Other than the broken buttplate, it's as perfect as can be found. 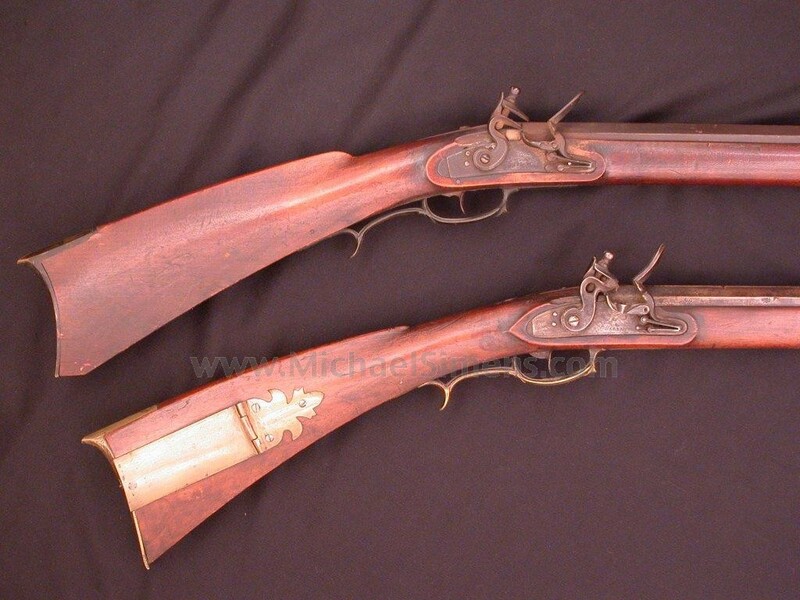 The lower gun with the patchbox is 67 inches long and obviously from the same maker and of the same time period. It was probably used as any other Kentucky would be, for hunting and protection. The condition matches the other gun. Both guns are in original flint. Both guns are untouched. Both guns are AWESOME! I threw the Spencer carbine on the floor in the photos for scale. I would prefer not to seperate these, but will if I have to.